On May 17, Google hosted a Google Partners Connect live stream session in which experts from Google discussed the best ways for businesses that offer home services to grow their audience online. At Proceed Innovative, we have had many clients in the home services industry and we understand how digital marketing can be used to help these professionals expand their audience and reach potential customers at the moment they need home services. 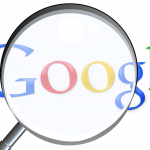 This article provides a summary that includes the highlights of Google’s presentation describing the importance of digital marketing to the home services industry, and ways in which home services can grow their business online. You can also watch the video for the full presentation. If you own a home services business and believe that you are losing out on potential customers because your online presence is ineffective, our online marketing professionals can help. As a certified Google Partner Proceed Innovative has access to information and marketing tools available only to partners and we can help home service businesses like yours expand their audience online and reach potential customers at those critical moments. 82% of users on smartphones search for local businesses on a search engine. 50% of those searching for a local business on their smartphones will visit the business within one day of their local search. Control and Convenience: Consumers have access to information 24 hours a day, 7 days a week. Informed and Aware of Options: Consumers can explore more options than before and in less time. High Expectations: This constant access to information raises consumers’ expectations, making it very important for businesses to deliver high quality services. Consumers consult an average of 22.4 resources before choosing a home services business, more than double the average amount of just 4 years ago. Reaching consumers at the right moments has become extremely important, yet only 2% of home services businesses are capable of identifying and delivering on these moments. Digital media accounts for 56% of all media consumption, yet home services only account for 25% of digital advertising investment through Google. Obviously, the home services industry in general has some catching up to do, but this presents home services businesses with an incredible opportunity. Businesses that adjust their marketing model to accommodate these changing consumer behaviors will be at an incredible advantage to reach the right customers at the right moments. One way that home services businesses can gain an advantage in digital marketing is by anticipating the changes in consumer demographics and their behaviors. For starters, it is estimated that 21.6 million households will be headed by millennials in 2018. Millennials search for and choose businesses differently than their parents, leading to significant changes in the path to purchase within the home services industry. Immediacy of Action: Most consumers search for home services in immediate reaction to some sort of stimulus. For example, if a pipe bursts and the home starts filling with water, a consumer will immediately reach for their smartphone and search for a plumber. Higher Expectations: This idea is mentioned above regarding the quality of services. The same holds true with the quality of your mobile website. Remember, more consumers will find your business through mobile devices than any other device and 67% of consumers will immediately leave your website if it is not mobile friendly. Unscripted Decisions: In the home services industry, brand loyalty is becoming less relevant than the immediate needs of the consumer. In the burst pipe example given above, the consumer will make a decision based on which business can help them the fastest, rather than on the brand name. Home services businesses must show that they can meet a consumer’s immediate needs in these moments. Home services businesses that provide consumers with a good mobile experience and prove to them that they can deliver in the moments in which consumers need them most will gain a significant advantage. Google’s search statistics back this up as search queries for home services on mobile devices are growing at a much faster rate than in other industries. It bears repeating that there is a major opportunity here for home services businesses to engage with this growing number of consumers. 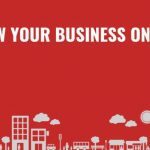 If you own and operate a home services business, you may now be asking, “How can I take advantage of these changing consumer behaviors to get more customers for my business?” Fred Vallaeys of Google explains five major ways that you can grow your business with Google, which we will summarize below. Claiming ownership of your Google My Business listing is extremely important for any business, especially businesses that provide home services. 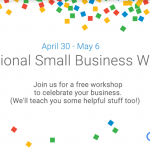 Google My Business listings, also called local listings, are free businesses listings from Google that appear on Google Maps as well as within search results. Businesses can edit the information in these listings which includes a description of the business, address, contact info, hours of operation, and service area. You can also monitor and respond to Google reviews of your business which factor heavily in the decisions of consumers. 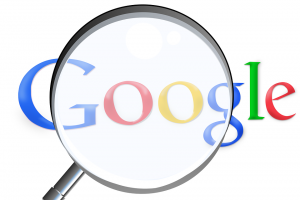 All you need to do is search for your business and claim the listing, and Google will send you an activation code to take ownership of the listing. It is also important to know what your customers are looking for on a seasonal basis and if they are searching for products or services that weren’t highly searched before. A digital marketing agency like Proceed Innovative can help you set up and manage PPC campaigns and choose keywords that will bring the best ROI. More searches are done on smartphones during the afternoon while searches done on computers and laptops increase in the evening. Make sure you optimize your ads accordingly. If your company sends out coupon mailers and other printed marketing materials, increase your bids on your keywords when they are sent out. Allocate your bids in service areas where your company makes a higher profit for your services. 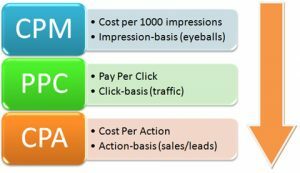 Track your conversions from your PPC campaign and share this information with your digital marketing agency so they can help adjust the campaign. 42% of those looking for home services on their smartphones looked for more information on a business after seeing an ad. Optimize your website to load quickly and display properly on mobile devices. Use click-to-call functionality to limit the number of steps to purchase. Provide alternative ways to finish the transaction and make sure forms are efficiently designed. Advertisements that stand out the most, whether online or in print, get the most attention. Google offers 11 different ad extensions to change up the look of your ads which can lead to a 30% increase in your click through rate (CTR). Text message extensions are one type of extension that are especially effective for reaching millennials. Video advertisements are also very effective for reaching people and a great way to show your expertise. Between January and May 2015, users watched over 100 million hours of “how to” video content on YouTube. Now that we have covered several major ways that home services businesses can grow their audience online, you may be wondering if you can do this all yourself. For some companies, it is very difficult to focus on running the business and maintaining effective internet marketing strategies at the same time. Fortunately, Google Partners like Proceed Innovative can help. Your home services business can benefit from having our professionals handle your digital marketing in the same way that homeowners benefit from calling an electrician or plumber instead of doing the work themselves. Our SEO experts adhere to Google’s best advertising practices when managing PPC campaigns, and we can ensure that your website is mobile friendly with our web design services. We have had plenty of experience and success in helping home services businesses just like yours attain their digital marketing goals. 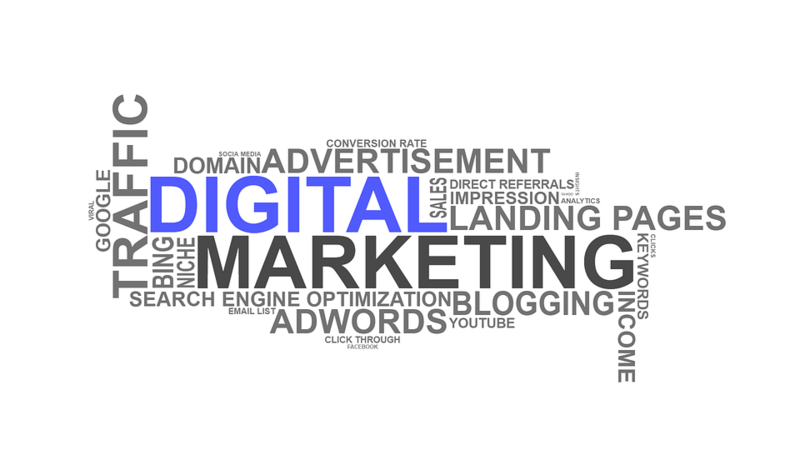 Call Proceed Innovative at (800) 933-2402 to talk to our experts about our digital marketing services.